For my portable operations I sometimes use an RM transistor amplifier. It is a very simple amp and probably not the cleanest one around - although I have had no complaints as long as don't use compression on the lower bands. Recently I bought a dummy load and was able to measure the output. It delivers 300-400 watts from 10m-160m depending on the band (less on the higher bands). I power the amplifier with a separate car battery - the wiring in my car does not support the high currents and I do not want to run the risk of draining the battery I need to get moving again. This works well even when I now and then want to use the amplifier at home (I usually refrain from using more than 100 watts as my neighbors have complained of RFI in the past). However with our PACC contest coming up I was looking for a power source that could last longer than the car battery does. We used the amplifier last year during the first hours of the contest and we think it could help us score better this year if we have it available for 24 hours. I have not measured the peak current yet but I would expect it to be around 50A. I could of course buy a decent switching power supply of say 60A to have a bit of head room. However they don´t come cheap. 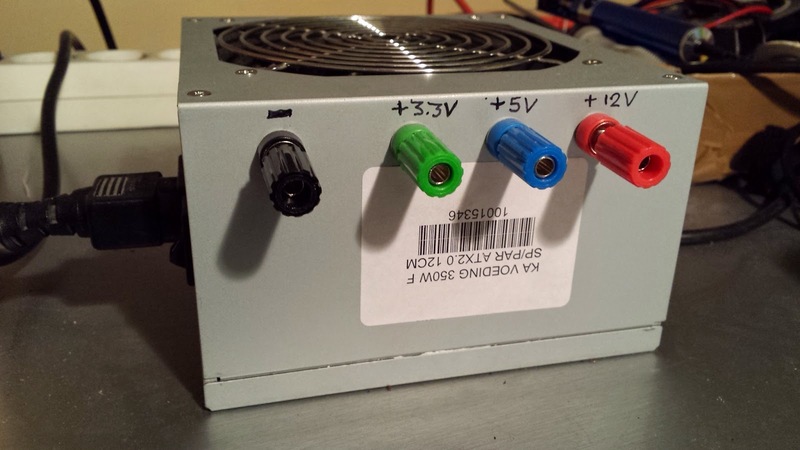 In the past I converted an ATX power supply of 400W from a desktop PC to a bench power supply (3.3V, 5V, 12V). It delivers 15A max @12V which is nice for recharching my LiPo and LifePo batteries. Thinking along these lines I stumbled on server power supplies being used as 12V power sources. The best information how to use these I found in the realm of remotely controlled helicopters and cars. That is quite another hobby but one I met before when I was looking for the best portable batteries in power/weight. They seem to have similar challenges as ham radio operators. I found it for sale as a refurbished part in the Netherlands for a good price so I ordered it earlier this week and it arrived just before the year ended. Using the information online I am now preparing it to power up. 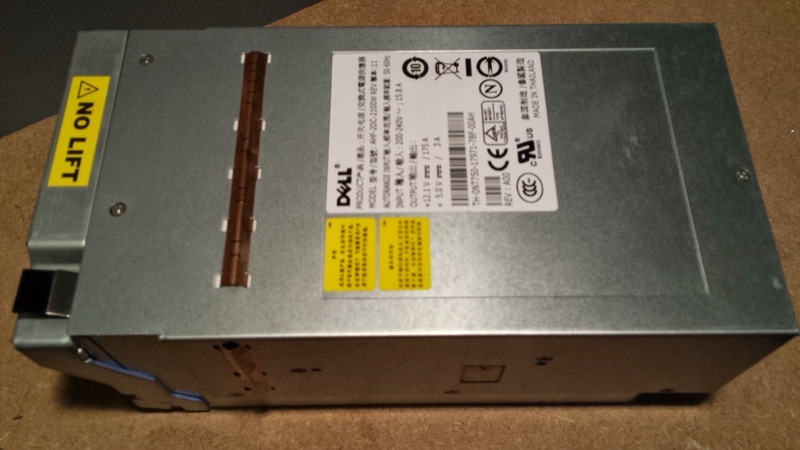 For this you need to connect the right pins so the PSU thinks it is correctly installed in the DELL server. According to the information online it is even possible to increase the voltage supplied using a potentiometer between certain pins. Sounds all very nice to me.. I still need a few parts to complete the job and when done I will add the details to my Projects page.